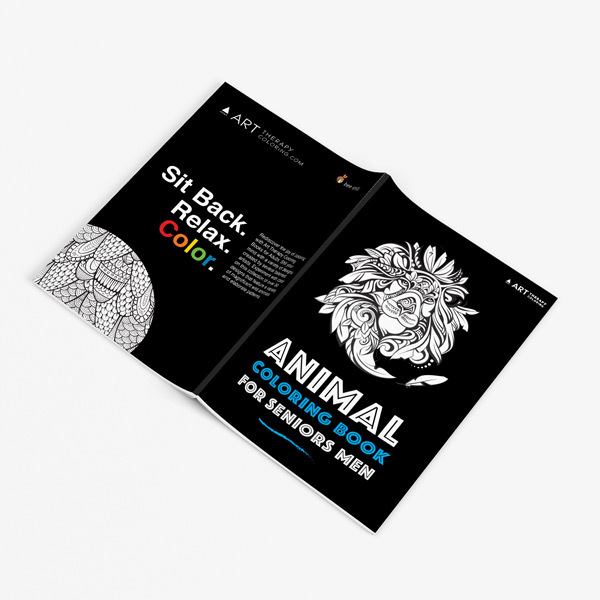 Whether you’re new at coloring or an expert, men will enjoy some designs of abstract, untamed nature as a compliment to the animals in this volume. Trace and shade leaf patterns with various shades of green and yellow or decide on your project and colors according to your mood with abstract swirls and cone reminiscent designs to choose from. Aside from the kings of all beasts and nature designs, you’ll enjoy the discovery of ancient looking insects, spiders, and symbolic totem poles. Totem poles have many features to consider as you color. These include their function in the architecture of the eighteenth century and their long history of decorative carving, often done on the solid body of a western red cedar. 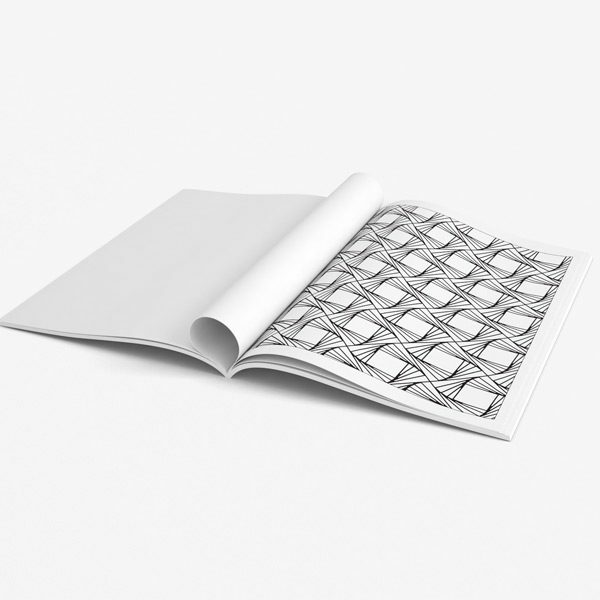 A Coloring Book Senior Citizens Will Love! Dig into history as you color totem poles that may have depicted family legends, animals, people or historical events of the time. You can transform your coloring tool into a sort of carving tool, similar to the days when these monumental poles were created to symbolize family status and cultural interests. If you’re looking for a gift for a special man who enjoys using some of his creative talents and loves the inspiration for fantasy, you’ve found the perfect choice. Men, if you’re looking for a book that will bring you hours of enjoyment for a hobby or just something to pass the time and make your day a fascinating exploration of the world and your mind, this is definitely the right book for you. Choose your favorite colors and let your adventure begin. There are tons of benefits that you can gain from coloring. Unfortunately, many men don’t get these benefits because they think that coloring is just something for women. In fact, this couldn’t be farther from the truth! 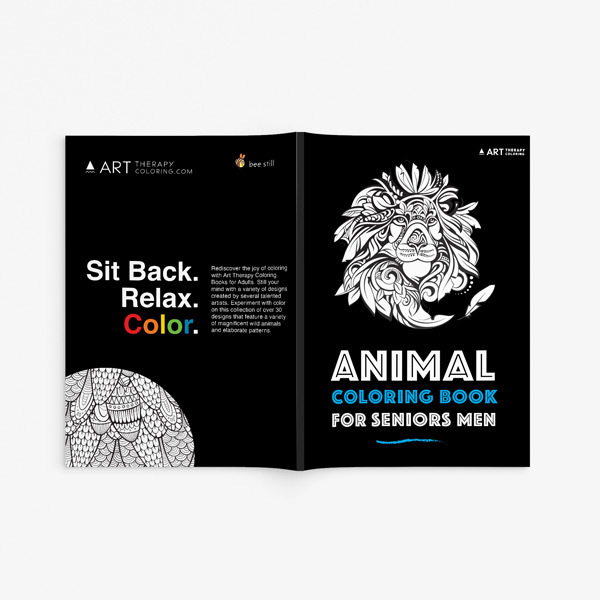 Coloring is great for men too, and with our Animal Coloring Book for Seniors Men, you can enjoy coloring beautiful, masculine pictures without feeling like you have to color girly pictures. 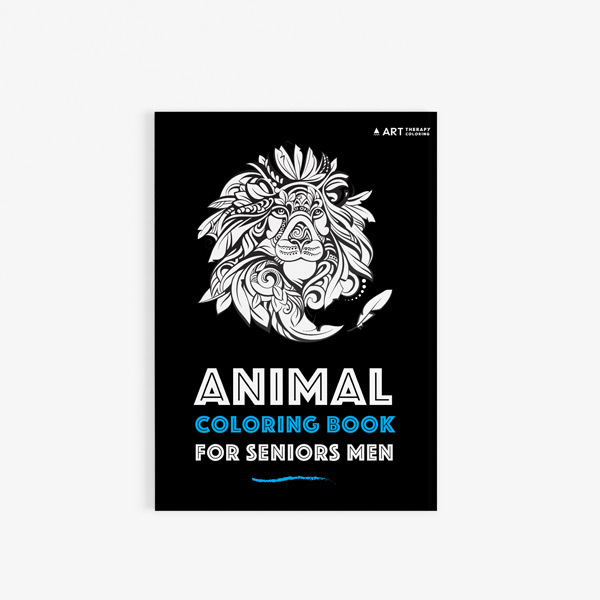 Animal Coloring Book for Senior Men has interesting and beautiful pictures that would go well even on a hunting lodge wall. They are not girly or effeminate. 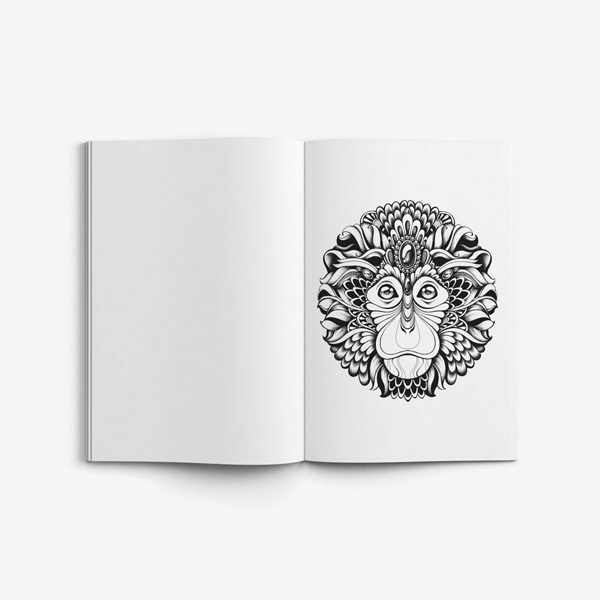 You will find pictures of wolves, lions, owls, zebras, deer, monkeys, and even tarantulas. The styles of the pictures are also bold and manly. 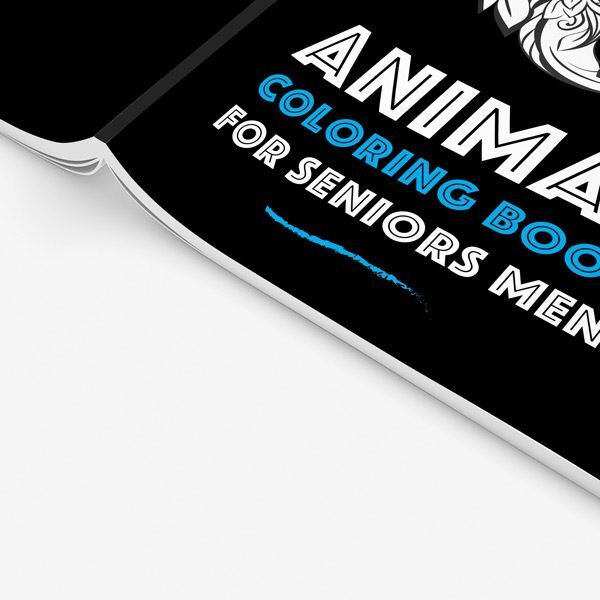 If you are a man who could use a little more stress relief in your life, Animal Coloring Book for Seniors Men is the perfect solution for you. Lower your blood pressure. 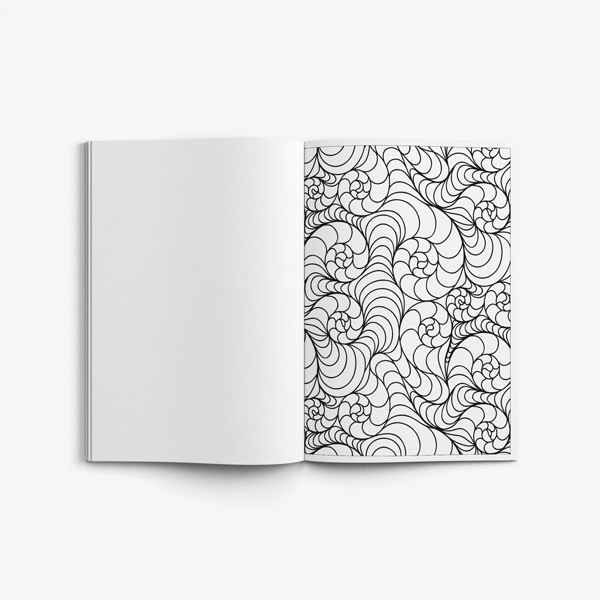 Coloring has been shown in many studies to lower your blood pressure. This is because of the calming effect of coloring. We’re not saying you should give up your blood pressure medication for coloring. You should always consult your doctor. But if blood pressure is an issue for you, as it is for many senior men, coloring can help to relieve your hypertension. Raise your mood. 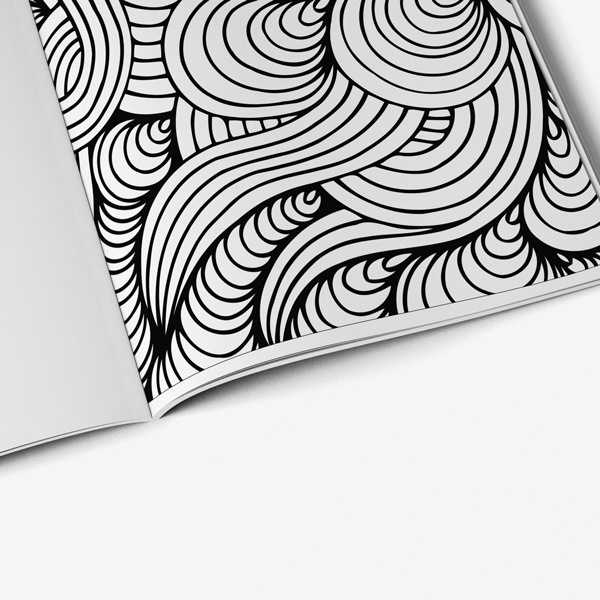 Coloring has also been shown to be a great aid in depression and anxiety. The simple act of calming down and focusing on one thing can really help to keep your mood positive. Again, don’t stop taking your medications. 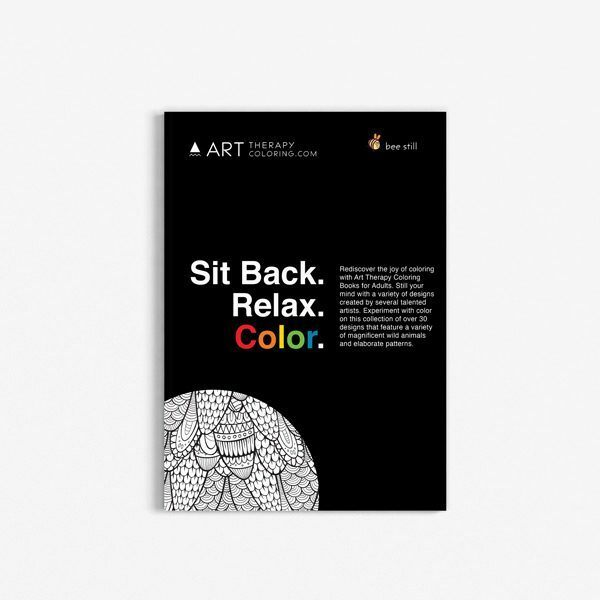 Just enjoy the mood-lifting benefits of coloring while you create beautiful art. Calm your stress. No matter how old you are, there is plenty of stress in our modern lives to drive anyone crazy. Coloring can help to silence the voices going around and around in your head. It is very similar to meditation, in that it lets you quiet down and just focus on one thing. When you are thinking about keeping the colors in the lines, it is a lot easier not to think about all the things you need to do or all the things you are worried about. Increase brain activity. Some studies have even shown that coloring can be neuroprotective. It has similar brain effects to meditation. People who color may actually have a smaller risk of brain degeneration. So color on, and enjoy Animal Coloring Book for Senior Men! 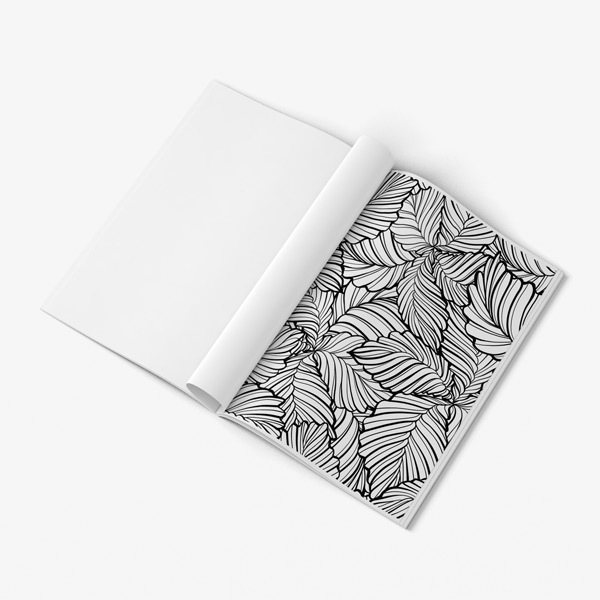 You will love the pictures just as much as the benefits that coloring brings!